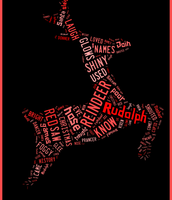 Rudolph the Red-Nosed Reindeer is a fictional male reindeer, usually depicted as a young calf who barely has antlers, with a glowing red nose, popularly known as "Santa's Ninth Reindeer." 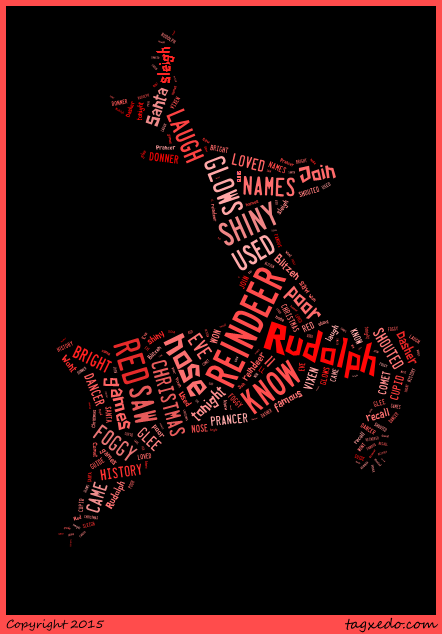 When depicted, he is the lead reindeer pulling Santa's sleigh on Christmas Eve. The luminosity of his nose is so great that it illuminates the team's path through inclement winter weather. 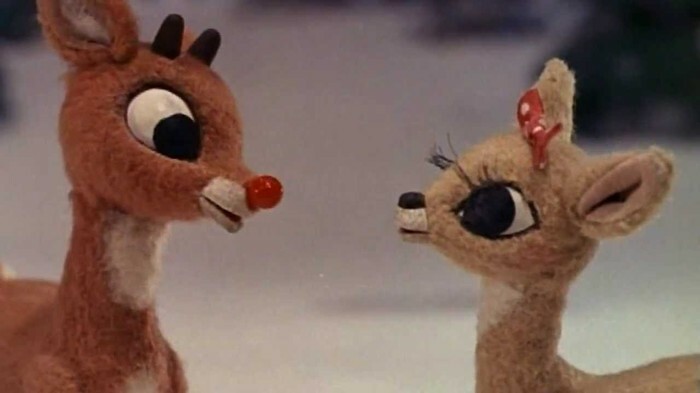 Rudolph the Red-Nosed Reindeer is a fictional male reindeer, usually depicted as a young calf who barely has antlers, with a glowing red nose, popularly known as "Santa's Ninth Reindeer." 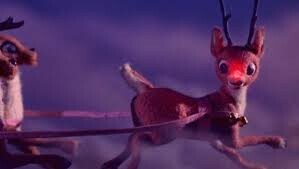 When depicted, he is the lead reindeer pulling Santa's sleigh on Christmas Eve. It is a popular song that is beloved by all who hear it!